The first Friday in February every year is National Red Day. The day was first observed in 2002. On this day, both men and women are encouraged to wear red as a sign of support for women’s heart health. Heart disease is the leading cause of death of women in the United States. A popular phrase associated with National Red Day is “Know Your Numbers.” And the numbers usually recommended to know for your heart health include blood pressure, cholesterol, body mass index (BMI) and blood sugar. These numbers are all very important, because there is overwhelming evidence that elevated blood pressure, BMI, cholesterol and blood sugar can lead to heart disease and death. However, I would substitute body fat for BMI, because credible research suggests that BMI may be an inaccurate measure of one’s health. You can have a healthy BMI and be overfat. Similarly, you can have an ‘unhealthy’ BMI and have healthy fat levels. A BMI between 25 to 29.9 is considered overweight, 30 or above is obese and a healthy BMI falls within the range of 18.5 to 24.9. So what is a healthy body fat percentage for women? Generally, women need at least 12% body fat for normal physiological functioning. (Men need less, at 3%). Fat percentages above the minimum required amount are referred to as nonessential fat. According to the American College of Sports Medicine, a range of 10-22% for men and 20-32% for women is considered satisfactory for good health. So as you can see, no matter what your age or gender a percentage above 33% is not good. Your body’s fat percentage is a better predictor of health risks, compared to the number you see on the scale, this study confirms. And according to this more recent study, researchers suggested the release of fatty acids from body fat is very harmful to your heart health. Measure your waist circumference. This is something you can do right now and make immediate lifestyle changes if you need to. If you have too much fat around your waist, you are more at risk for heart disease and Type 2 diabetes, the National Heart, Lung and Blood Institute says. The risk is higher among women if they have a waist size greater than 35 inches. You can also easily look at your hip to waist ratio. If your waist is bigger than your hips, this is an indication you may have dangerous fat levels. Skinfold Caliper. You can do this at home by pinching the fat around our waist and measuring it with a body fat caliper. You can then compare the reading to available charts to determine your body fat percentage. In addition to the benefit of being able to do this at home, you can also repeat it to test our progress against reaching your goals. InBody Machine. This is a state-of-the-art body composition analyzer that is widely regarded as the most accurate and precise. The InBody provides a detailed report that shows how much fat, muscle and water your bodies has and provides recommendations for how many pounds of fat you need to lose or gain (as well as muscle). 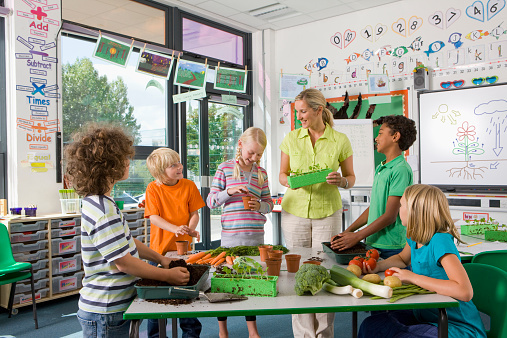 And of course, nutrition plays a major role. 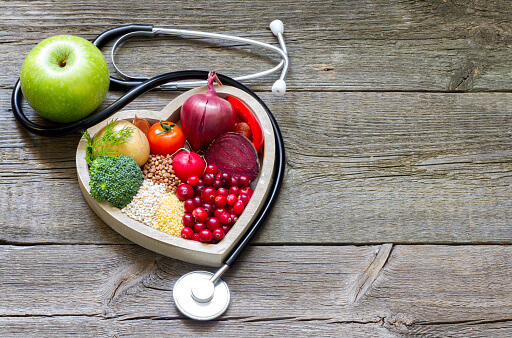 Eating a diet rich in a variety of nutrient-dense fruits and vegetables is imperative if you want to maintain a healthy weight, reasonable body fat percentage and combat inflammation that may lead to heart disease. There are also specific minerals that may be particularly helpful when it comes to protecting your heart. Magnesium & Calcium. These minerals’ importance for the heart can’t be overstated, and they work together hand-in-hand. 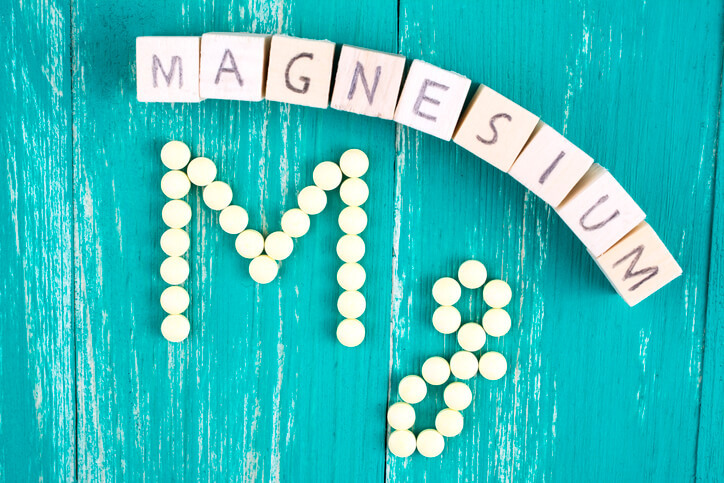 Magnesium influences heart muscle energy production, keeps calcium levels balanced, loosens up tight blood vessels, reduces inflammation and keeps the electrical activity in the heart behaving properly. Think of calcium as “Fire” and magnesium as “Hold your fire!” in the heart. Low magnesium has actually been found to lead to worse outcomes in patients with heart disease and higher risk of irregular heartbeat. Magnesium is also widely regarded for its muscle-relaxing properties, which may help people with high blood pressure. Low calcium levels can also cause electrical abnormalities in the heart. To find out which foods contain magnesium and how much you need, click here. For information on calcium, click here. Sodium & Potassium. High blood pressure increases your risk for heart disease. And if you have high blood pressure, your doctor has probably told you to cut back on salty foods. Reducing your sodium intake can help lower high blood pressure. What your doctor may not have told you is that a good balance of sodium and potassium can also help to reduce blood pressure. Studies show that the sodium/potassium ratio intake should be less than 1. Unfortunately, only 12% of the U.S. population has this adequate ratio. The American Heart Association recommends a maximum daily intake of 1,500 mg of sodium, but in reality 99.8 percent of the population consumes much more. Avoid processed foods, which tend to have alarming amounts of sodium per serving. For more information on how to get potassium in your daily diet, read here. It’s not Valentine’s Day yet, but today show a special woman in your life some love by making sure she knows her numbers and is protecting her heart.